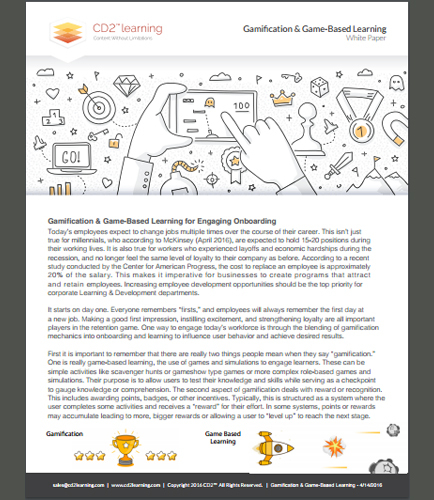 "Gamification & Game-Based Learning for Better Return on Investment"
The return on investment of training with gamification is better than from presentations, print materials,and even videos; so why not maximize that ROI from the start? learning, are successfully used in training today.Game-based learning also allows users to play or try more than once to achieve a goal. Repeated retrievaland spaced repetition are scientific principles proven to change behavior. In education this is referred to as reinforcement of learning through practice. How does gamification work for businesses? How Game based learning Can Help Drive Employee Engagement ?